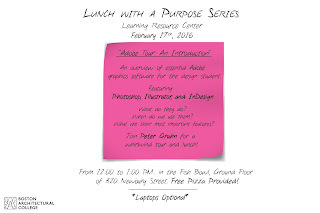 Join the Office of Student Life and the Learning Resource Center as we present the second segment in the new Lunch with a Purpose series. 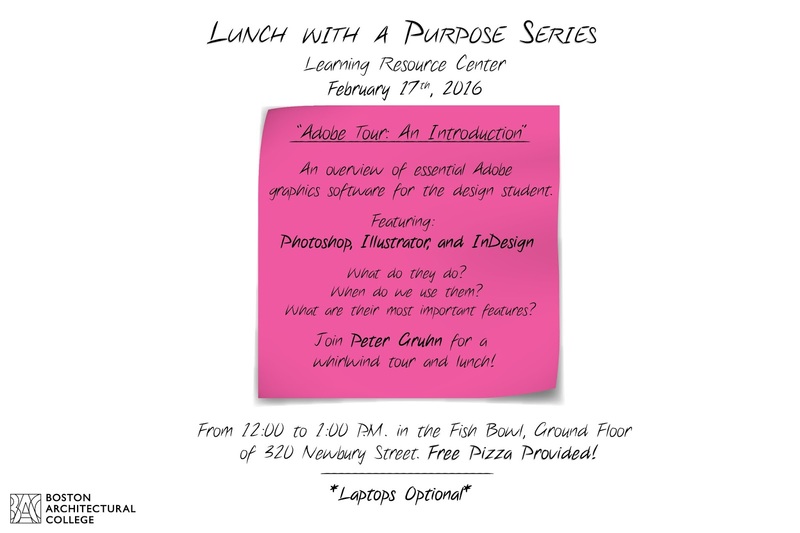 This workshop will provide an overview of essential Adobe graphics software for the design student. Featuring: Photoshop, Illustrator, and InDesign. What do they do? When do we use them? What are their most important features? Join Peter Gruhn for a whirlwind tour and lunch!